BERLIN, Germany – The German market saw solid growth in 2014, in particular for e-bikes. Close to 8% more bikes were sold in Germany last year. A total of 4.1 million bicycles and e-bikes were traded. The average value per bike sold to the consumer was up to a record breaking €528. The German bicycle industry has had a successful 2014. Even in Q1 beautiful weather guaranteed an excellent start of the season. It laid a strong foundation for the rest of the year. Unlike in previous years, the German consumers is willing to pay a little bit more money in the shop for quality products. Also, thanks to the ongoing trend toward a health-conscious, active lifestyle, more people are cycling. In 2014 the annual turn-over of the German bicycle, parts and components industry amounted to an estimated €4 to €5 billion. The sales of bicycles and e-bikes generated an estimated €2.16 billion, an increase of 9.6% compared with 2013. Also in volume the market saw a significant increase by 7.9% to a million bicycles and e-bikes. 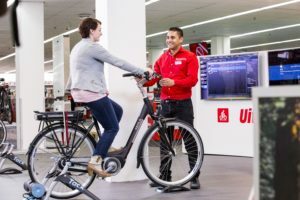 As in other markets with a growing e-bike category, the average price for a bicycle, including e-bikes, surged to €528. The main country for sourcing bicycles is still Cambodia, with a market share of 19% or 528,200 units. Second largest is Poland with 305,800 bicycles and third largest is Bulgaria with 250,200. In the e-bike category, the industry reported double-digit growth in 2014. Compared to 2014, the e-bike sales expanded by 17%, from 410,000 units in 2013, to 480,000 last year. The e-bike sales are back on a growth track in Germany. In 2013 it looked as if this category was stabilizing for the first time at 11% of the market. In 2012 this was still 15%. The latest market figures over 2014 indicate that the e-bike still has a lot of potential and sales have found its way back up again. The e-bike share of the total annual market is now at 12%. Today some 2.1 million e-bikes are out on the street in Germany. The industry organization “Zweirad Industry Verband (ZIV) also reports a growing interest in e-bikes by younger people mainly thanks to the huge popularity of e-mountainbikes. The “Made in Germany” e-bikes are in high demand on the country’s export markets. Some 4.6% more e-bikes were sold abroad by German companies. Percentage-wise a nice figure, but it only represents 4,000 units. The German bicycle industry is not taking full advantage of the e-bike boom. The market statistics show that the German consumers are not much influenced by the “Made in Germany” mark. The German e-bike industry saw its e-bike production decline from 278,000 units in 2013 to 254,000 in 2014. On the other hand, the imports increased from 199,000 in 2013 to 230,000 last year. A majority of of the imported e-bikes (68% ) were sourced in other European countries, while 32% were made in Asia. 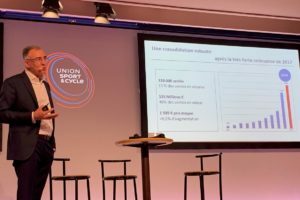 ZIV reports that the e-bike market is successful thanks to evolving battery and drive train technologies resulting in a longer range, as well new suppliers, and the changing mobility behaviour of the German consumers. While older people are still the largest group of e-bike buyers, the market is shifting increasingly to younger target groups who are more open to relatively new product categories such as e-MTBs. E-bikes are not only bought for leisure. A growing number of people are commuting by e-bike these days. 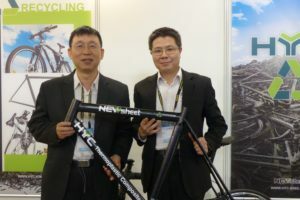 Also, the first B2B project involving e-bikes has been implemented last year. The use of e-bikes as a load vehicle used by logistics service providers in major cities is no longer just a futuristic idea. According to the ZIV, the market for e-bikes in Germany will grow by 15% on average over the coming years. 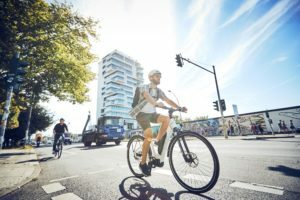 With 2.1 million e-bikes on the streets the German bicycle, industry achieved what other industries are only dreaming of: electro mobility has become a mature product within a few years. 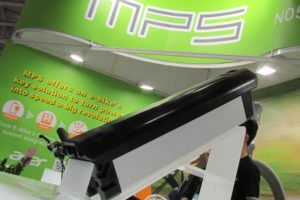 The positive news on the German bicycle market was overshadowed last year by the troubles at bicycle manufacturer MIFA. In spring 2014 it became clear that MIFA’s financial situation was less solid than reported to date. The local authorities had to step in – acquiring the factory grounds via a so-called sales & leaseback agreement. Ongoing negotiations with Indian Hero on the acquisition were less successful than expected and in the end MIFA went bankrupt, leaving many people, including bond holders, with an empty hand. The factory and the job were finally saved as the Von Nathusius family, sole shareholder of German auto parts supplier IFA Rotorion-Holding GmbH, took over all assets; but not without the guarantees from the state of Saxony-Anhalt.